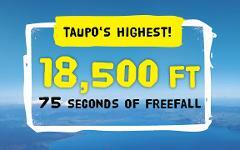 Try Taupo's newest and highest skydive from 18,500 ft - our new On Top Of This World jump! For a limited time, save $100 on the 18,500 ft and grab it for just $399! 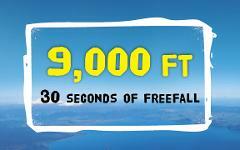 Skydive from 15,000 ft above Lake Taupo with 60 seconds in freefall! Skydive from 12,000 ft above Lake Taupo, with 40 seconds in free fall! 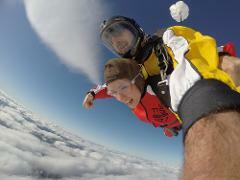 Skydive from 9,000 ft above Lake Taupo, with 20 seconds in freefall! Experience NZ's Best-Priced Skydive! Only available at 12.50pm each day. Get a pick up and return from Rotorua free of charge! When you arrive you can choose if you would like to stick with our 12,000ft skydive or upgrade to 15,000 ft or to the mighty 18,500ft!